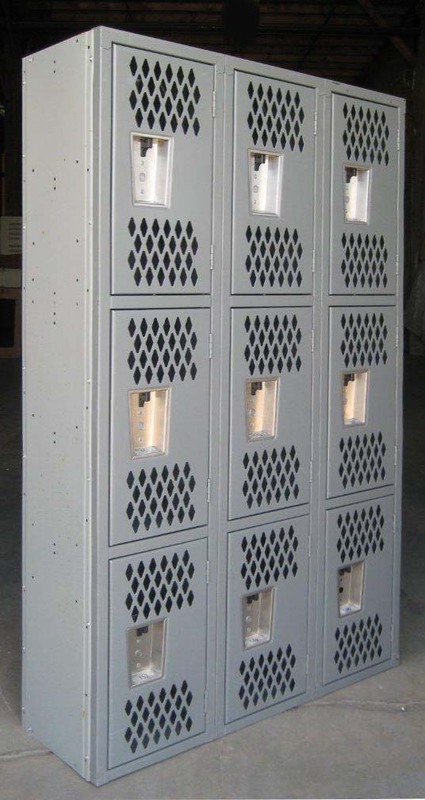 These Ventilated Gym Lockers - Triple Tier are available on www.buyusedlockers.com where they have a huge selection to choose from if we need additional supplies. If your patrons need to store wet or damp clothing, towels, or shoes, you’ll need a storage option that provides plenty of air circulation to help avoid mold and mildew growth. You don’t want your gym facility to have that old, dingy smell of a dark, dank basement or your visitors will be less inclined to continue using your facilities but what to use? Ventilated gym lockers! They provide good air circulation and are a necessity in keeping your patrons happy. With rectangular perforations in the doors not only do they offer good ventilation, but you’ll also be able to visually inspect the contents of each compartment without opening it. What a great time saver! By using three tier units you can create a layout that will even fit with limited space in your gym! You'll be able to provide more storage options with a small footprint and if you keep the 6" legs, they'll be easy to clean under. 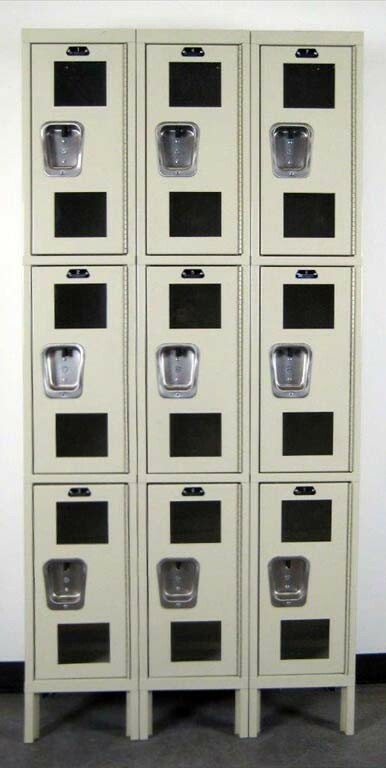 **12" wide x 15" deep x 72" tall lockers IN STOCK in 3 wide and available for quick ship in beige from all our locations across the nation. Quick ship units generally ship within 3 to 5 business days un-assembled or 5 to 7 business days assembled (often sooner). Discounts may be available for orders with large quantities. Custom sizes, styles and colors available upon request. Contact us for more information.